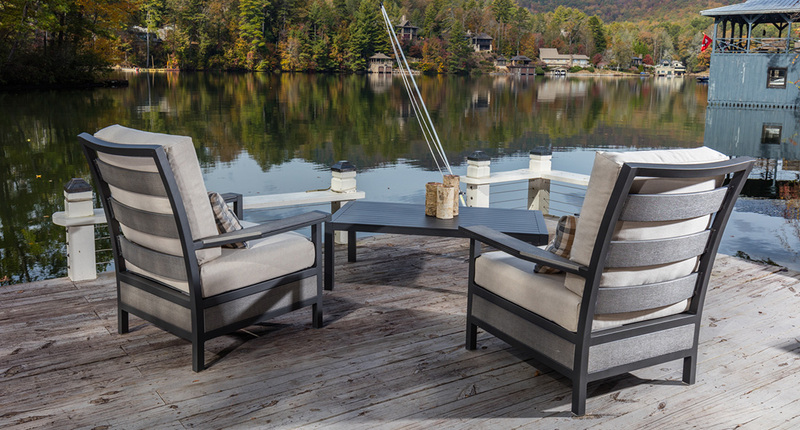 The Adventure collection is rustic yet refined featuring a robust, welded aluminum frame and accented with inlaid synthetic wood with superior durability. 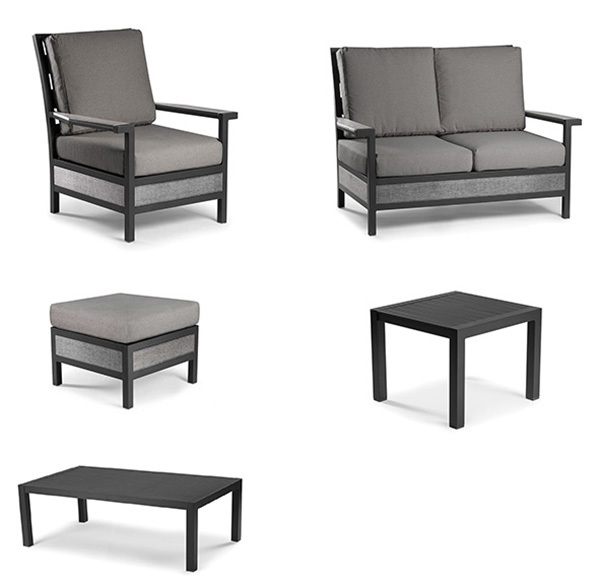 Available for special order from Eddie Bauer Outdoor Furniture in Matte Charcoal finish with Driftwood inlay and your choice of Sunbrella fabric . 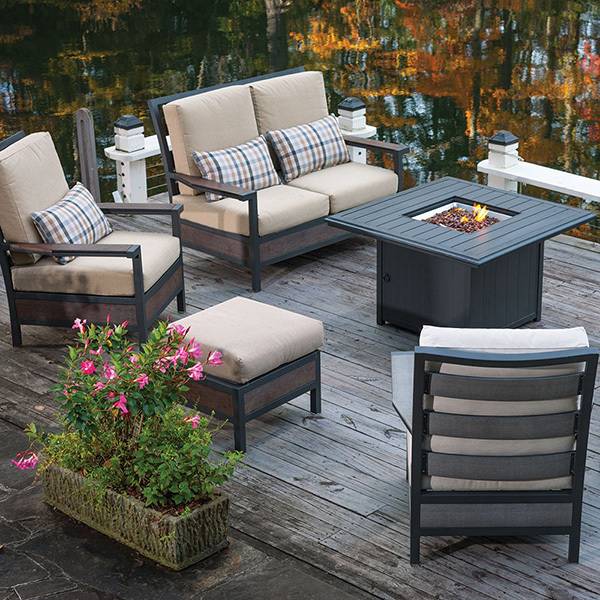 Special orders typically ship within 3 weeks from order date.